If you haven’t been in a Primark store recently, you’re missing out big time! They have so much cute stuff out right now, it’s insane! Unicorns, mermaids, Disney,… it’s all SO cute and SO affordable. On my most recent Primark trip, I actually picked up a bunch of makeup for a first impressions video and whilst I was browsing the makeup isles, I stumbled upon this beautiful mermaid brush holder. I just had to share it with you guys & make sure you were still able you can get your hands on it! The makeup brush holder has a beautiful iridescent purple/blue sheen to it, which is just absolutely stunning. It’s embossed with all these little seashells, again so gorgeous! Even-though this is made to store your brushes in for travel purposes, you can also leave it open. 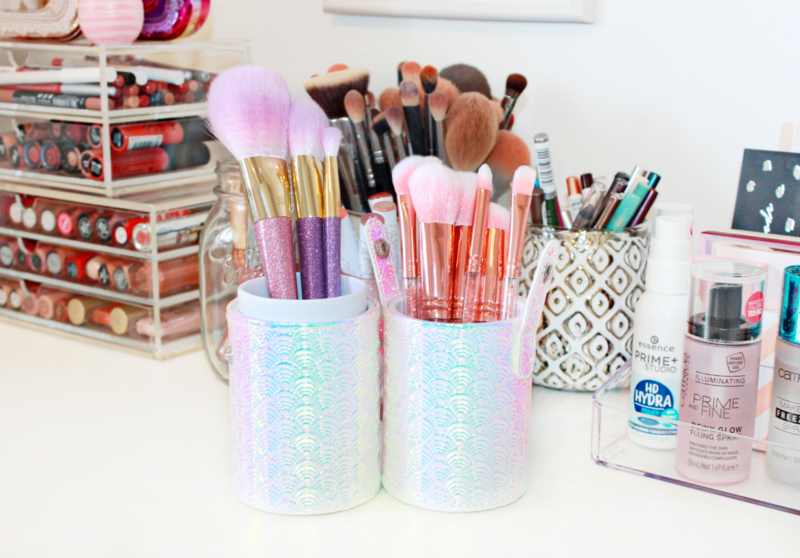 When doing so you can use it to display your makeup brushes on your vanity and you also have double the room to store brushes. This is not the biggest or the most sturdy brush holder ever, but for the price you really can’t beat it. I just love how versatile & whimsical this is! 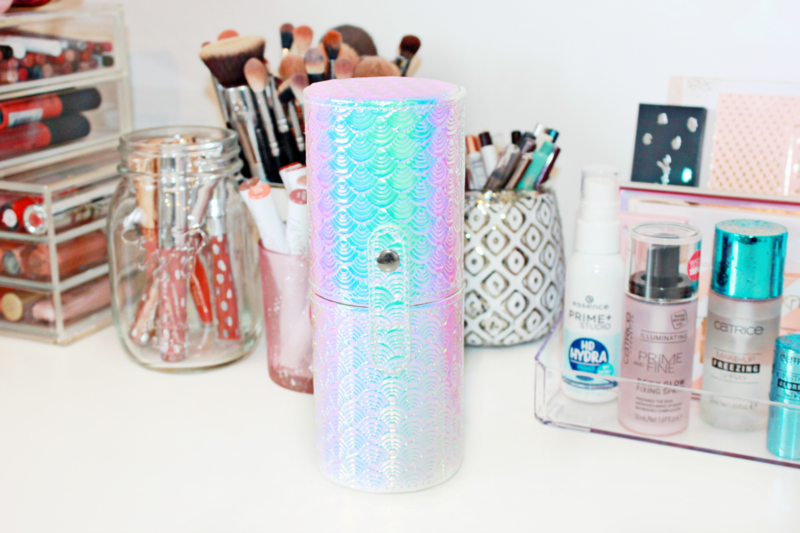 The Primark PS mermaid brush holder is available exclusively in Primark stores, unfortunately they don’t have an online shop at the moment. The other bummer is that I lost my receipt and can’t find the price of this holder for the life of me! I’m guessing it was around €3, so super cheap of course. If you don’t travel with a ton of makeup brushes, this is the perfect brush holder to take with you on vacation!